We undertake house clearance in all areas of Gateshead: Birtley Blaydon Bridges Chopwell Rowlands Gill Gateshead Chowdene. 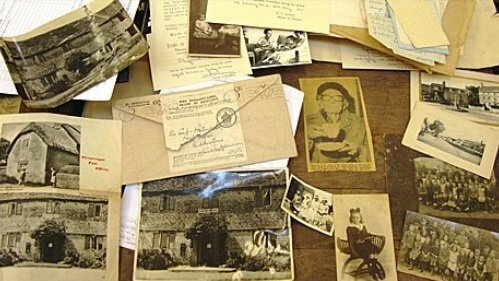 A collection of photographs, press cuttings and documents found in an old cottage is set to go up for auction, according to BBC News. The time capsule, which experts say contains items dating from 1917, was discovered during a house clearance in Gateshead. The collection includes a postcard dated to 1917, showing the Green and the pub; a picture of a gentlemen working in a bicycle shed next to the post office, dated to the 1930s; and a village shot turned into a Christmas card from the 1950s. The cottage, which used to be the village post office until its closure in 1962, had remained untouched for over 40 years. However auctioneer Richard Edmonds remembered stumbling upon the documents. Edmonds said his mind was racing with a thousand possibilities about what could be behind the ‘secret’ door, but after he and the house clearance team cut down the tree blocking the entrance, they discovered the hidden gems. “It is a staggering look back at local history – there are pics of local school children dating to 1924, and we have a press cutting of Mrs Smith from 1971 enjoying a cuppa at a district post office party – where she was the oldest guest at 88,” Edmonds concluded.